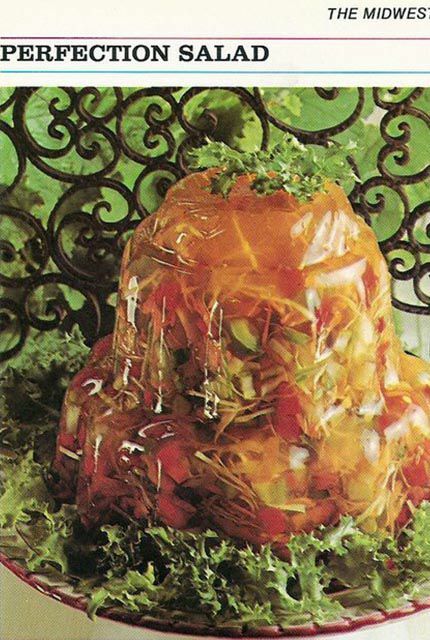 Have you ever looked through vintage cookbooks to check out the disgusting recipes our parents and grandparents used to eat when they were kids? Some of them were truly horrible. Maybe no one back then had tastebuds, because that would be the only excuse for some of these combinations. 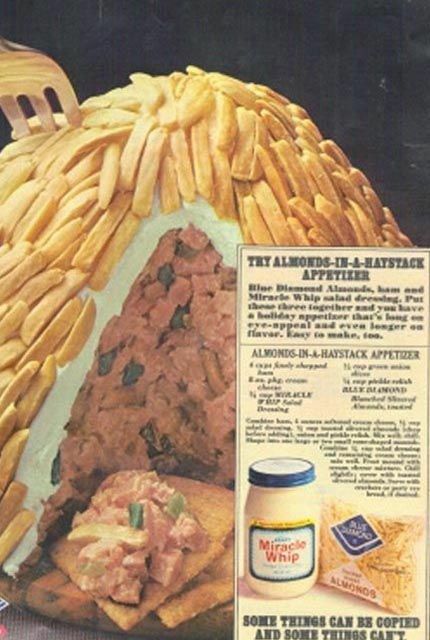 There’s so much mayonnaise, tuna and Jell-O here, you guys. And often, horrifyingly, mixed with each other. 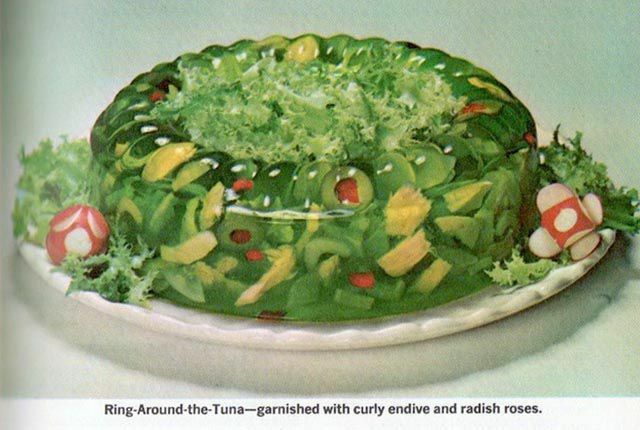 So get your gag reflex under control and take a look at these disgusting recipes from old cookbooks. The call it Perfection Salad. Please tell me what about a sickly brown Jell-O filled with lettuce and a ton of random shredded ingredients is so perfect. It looks very gross and giving it a fancy name really doesn’t make it any better at all.